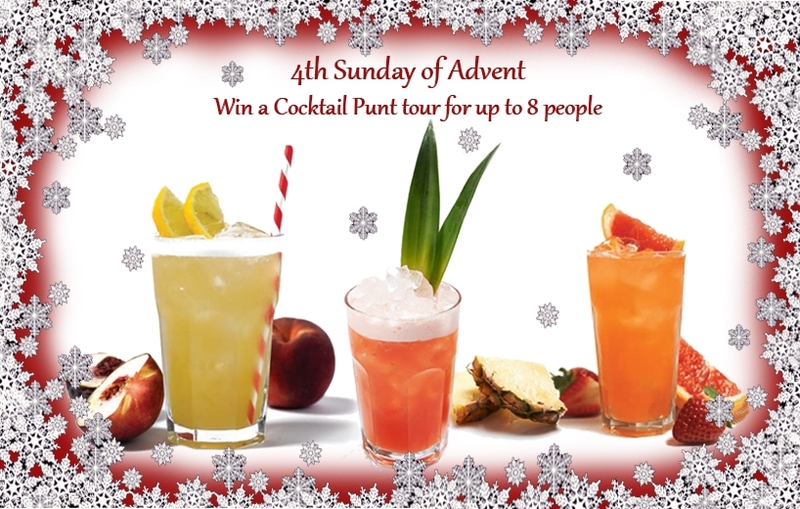 For the fourth of our 5 prizes this year we are offering a Cocktail Punt tour for up to 8 people. Enjoy two on-board drinks per person, queue jump at Revolution with free entry and a reserved table (before 21:00). where a Prosecco reception will be waiting for your party. We have teamed up with Revolution, Cambridge's premier party venue, to bring you a cocktail party prize. Together we are offering the chance to enjoy your own revolutionary punting party! The foundations of your unique punting party start with your chauffeur to punt you through the stunning College Backs in a balloon-decorated punt. You'll be accompanied by your own on-the-punt mixologist whose job is to prepare your choice of freshly-mixed cocktails. Choose two cocktails as a group to enjoy aboard the punt - see more on our Cocktail Punting page. We are operating the competition on our Facebook, Twitter and Blog pages. Please comment or share the post on Facebook or re-tweet and comment on Twitter. This prize is valid for a year from the winner announcement.